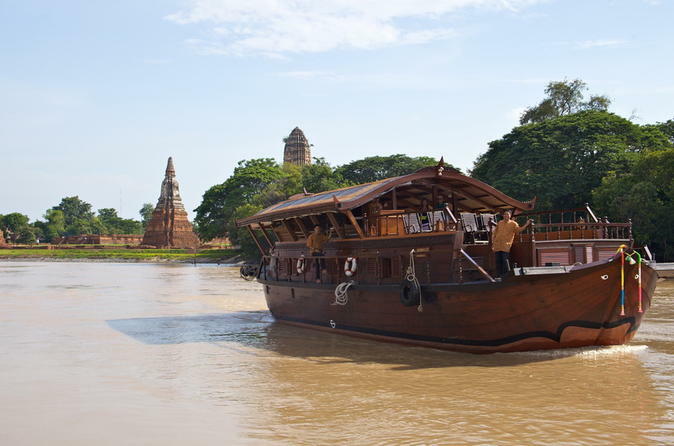 Travel from Bangkok to Ayutthaya on an overnight Chao Phraya river cruise aboard the Mekhala, a collection of three elegantly restored rice barges. Enjoy a leisurely trip along the river to the UNESCO World Heritage–listed historical city of Ayutthaya, witness local life along the water, and receive one night of accommodation in a cabin on the boat with dinner and breakfast provided. This is a one-way tour.